Centuries ago, an African safari was simply characterised as a journey for those with a pioneering spirit, and with a focus on exploration and adventure. Over the years, as more and more have travelled to this incredible continent, images of encountering Africa’s largest and most dangerous species on foot, along with safari vehicles immersed within the wide, open landscapes, have predominantly illustrated the essence of what it is to be on safari. Whilst this general desire for exploration and adventure, and the essence of what it is to be on safari, has not changed; today’s modern travelers are seeking out experiences which involve a deeper connection, one where they can get fully tuned in to nature and the environment, immerse themselves into a setting which stimulates curiosity and learning, and ensure that their traveling has a positive impact for the conservation not only of those habitats and wildlife, but for the communities living alongside them. Located near Kenya’s south eastern border, and hidden between two popular national parks – Tsavo East and Amboseli – lies the private 275,000 acre Mbirikani Group Ranch, within which ol Donyo Lodge is delicately built amidst the foothills of the Chyulu Hills. The lodge’s seclusion presents guests with a truly intimate experience, and a rare opportunity to be immersed in the essence of the Kenyan wilderness, whilst the extensive array of unique activity offerings provide an essential platform for those looking for a far deeper connection. 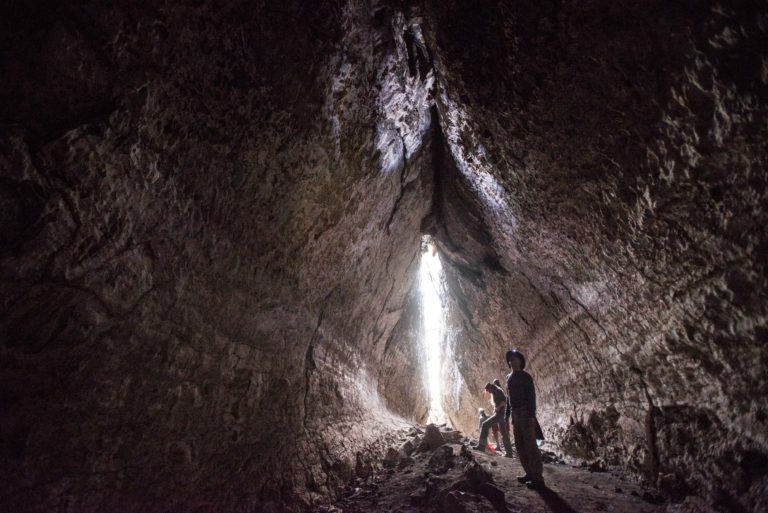 Lava tubes at ol Donyo – Kenya safariLooking out over the plains from ol Donyo Lodge, it is clear that this is a volcanic area, where streams of molten lava once flowed, and have left behind in it’s wake, what is thought to be the second longest lava tube. 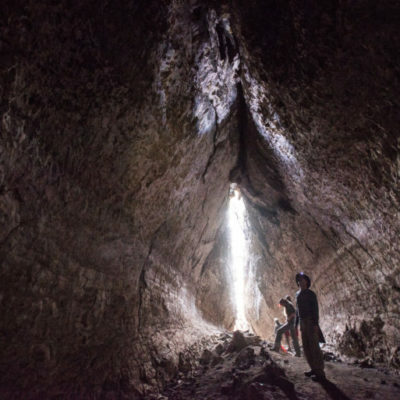 The lava tube exploration is a 45 minute drive to site, and is the quintessential activity for those who enjoy adrenalin and active adventures. As you scramble down into the darkness of the tube, your most primal senses are awakened with the realisation that these tubes form a haven for a myriad of species including the more reclusive leopard, bats, owls and a variety of other species. 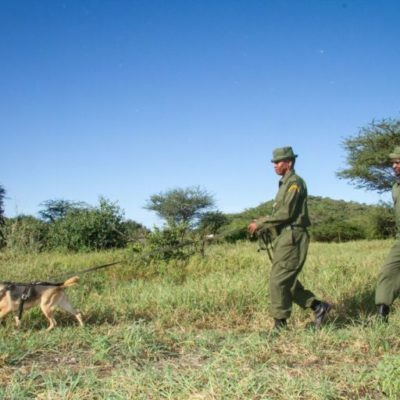 Big Life Foundation anti poaching unit – One of the most effective tools to an anti-poaching strategy is to deter poachers from even coming into an area. In this regard, there is no tool more effective than tracker dogs. Even if the poachers are not ambushed or stopped before the crime, they will almost definitely be caught with dogs after the crime. They cannot get away. 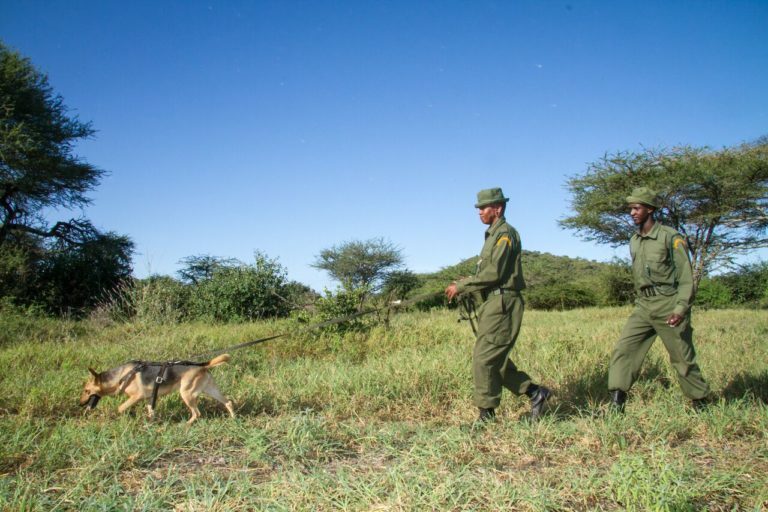 In an effort to assist with fund-raising, guests have the opportunity to partake in the anti-poaching training exercises for the dogs. In what can only be deemed as similar to “Hide and Seek”, guests become “the poacher” and together with their guide, will be given a head start to run and hide in the bush, whilst the anti-poaching dog and a Big Life handler track you down. This is a unique experience, at an additional cost, to be immersed amongst those who work so hard to protect this land, and we recommend to book this in advance. 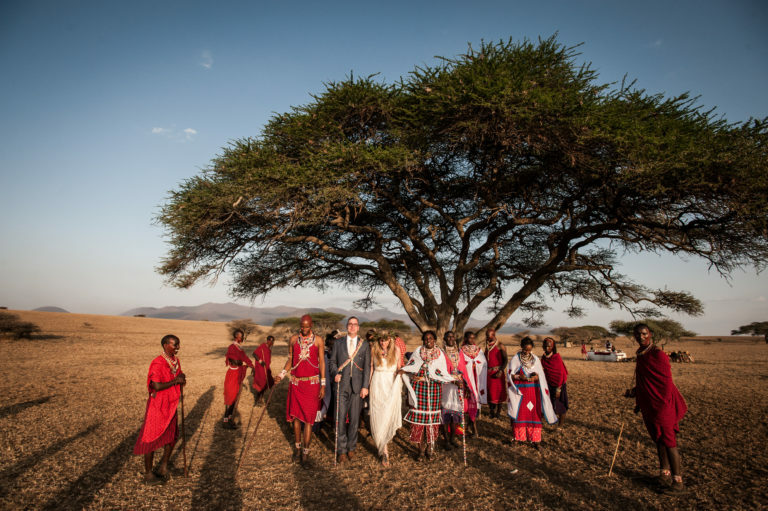 Wedding at ol Donyo Lodge – Africa with its many nations and tribes, is very rich in different wedding traditions and blessings. Throughout Kenya, the marriage rituals of the communities involve warrior strength competitions, song and dance, feasting and prayers. The occasion generally takes place in a sacred place, officiated by an elder, with dancers to entertain the gathering. 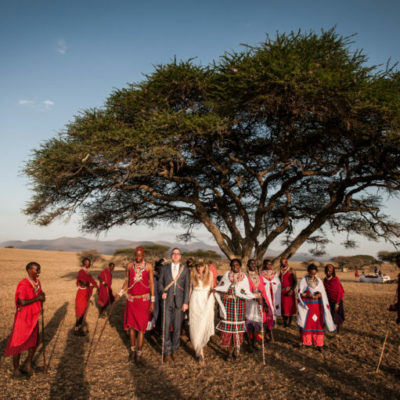 The scene is set as you are adorned in red or white garments over which the beaded marriage necklace sits, listening to the joyful singing of the Maasai, whilst your fiancé, in traditional Maasai regalia, participates in a jumping competition with other warriors. 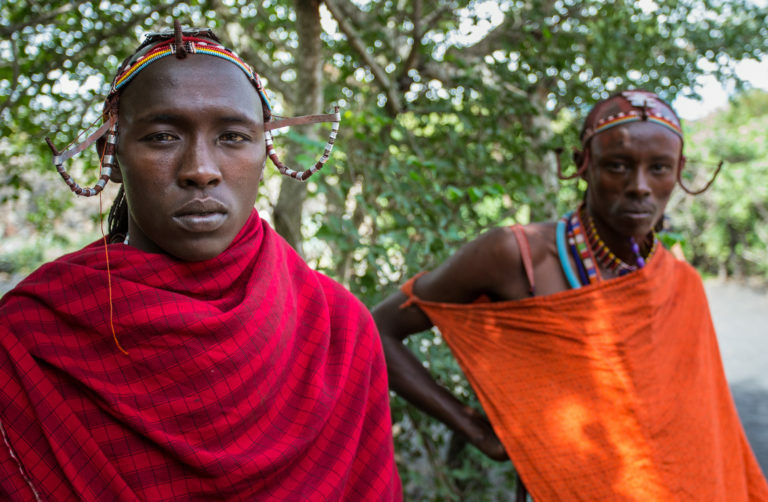 There is no better way to deepen your connection with each other and with the Maasai communities. 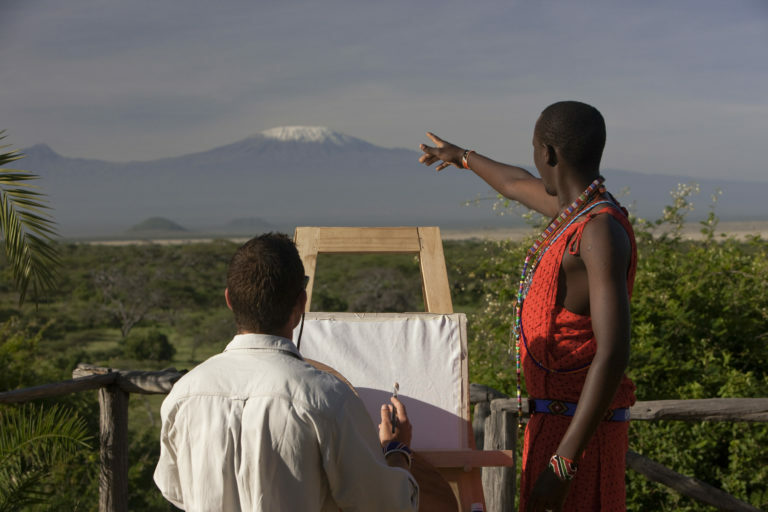 Safari art at ol Donyo Lodge – Slow down your safari and get in touch with your creative side whether out on the open plains, discreetly nestled in our log hide or directly from your room. 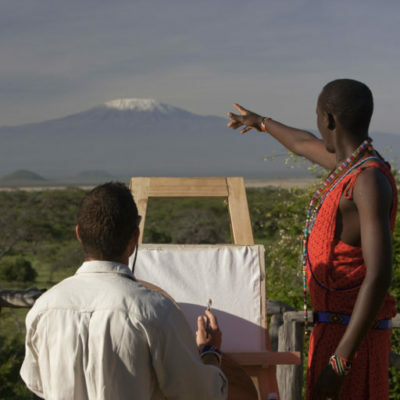 ol Donyo Lodge has easles, canvas and water colours available for adults and children alike. Explore your own technique, whilst our guides walk you through the scene’s ahead of you, explaining the different aspects of the ecosystem and touching on critical species and / or conservation matters. Let nature inspire you as you create your own masterpiece of this incredible outdoor studio. 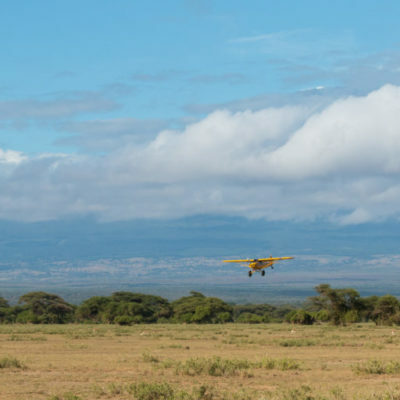 Scenic flight over ol Donyo Kenya Safari – Take to the air and soar over the golden plains of this spectacular landscape whilst learning about the work done by Big Life Foundation, and the extensive area which falls under their protection. 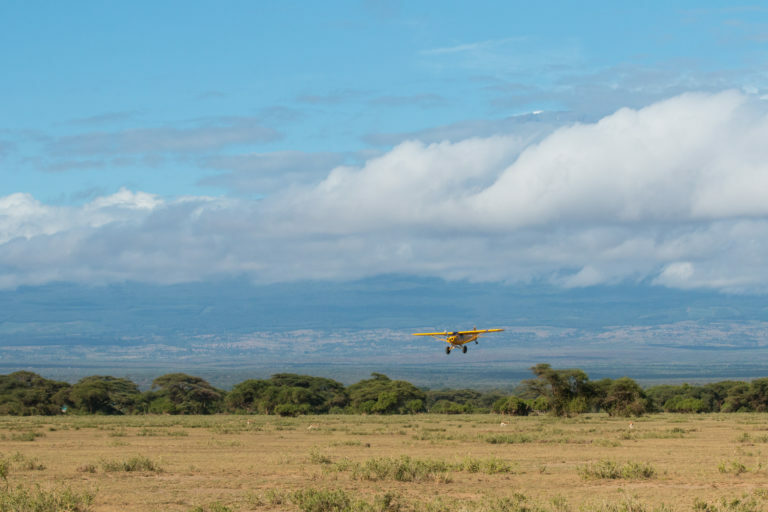 The one hour scenic flight provides an aerial perspective of this wildlife rich area, taking you over the Chyulu Hills and close to Kilimanjaro. The flight is conducted either by safari legend and conservationist, Richard Bonham, or head of Big Life security and “Ivory Game” star, Craig Miller. Both know the area exceptionally well and have hands on involvement with the Big Life Foundation projects. Please note that flights are at an additional cost, and are subject to availability and weather conditions so it is advised to book in advance. Rest assured that after a flight over this region, your spirits too will be soaring. 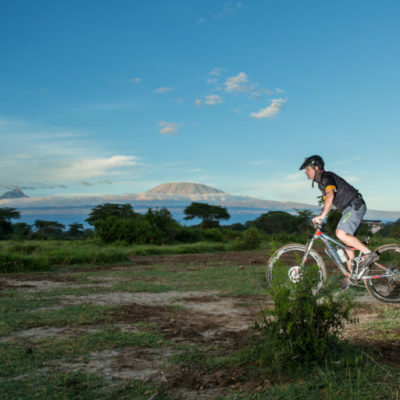 Mountain biking safari at ol Donyo, Kenya – Mountain bike safaris are an exhilarating way to explore and get your share of adventure, fun-filled exercise and breathtaking surroundings. Using mainly hard tail Cannondale mountain bikes, we generally conduct all mountain bike activities on the open flood plains where visibility is good and the riding is easier. For those who are advanced riders, and who really wish to demonstrate a strong commitment to conservation, but also intimately experience the land in this area of Kenya’s priceless Amboseli-Tsavo region, our annual Ride For Lions programme is an exceptional and unequalled event where all funds raised go towards buying the land to expand this important wildlife corridor. Maasai at ol Donyo. 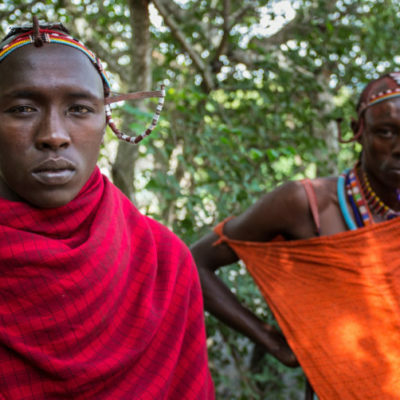 Kenya safari – The Maasai markets usually take place on a Tuesday at a village near ol Donyo Lodge and offer guests the opportunity to immerse themselves amongst the flurry of activity within the village as market day gets underway, and to interact with the communities. Generally the market is partitioned into two sides, the vegetable and goods side, and then the cattle / goat / chicken trading side. Local crafts are found on the vegetable and goods side and occasionally guests are able to witness the men sewing the Maasai blankets, traditional attire for men and women over 18 years of age with the blanket representing various feelings like love and peace. 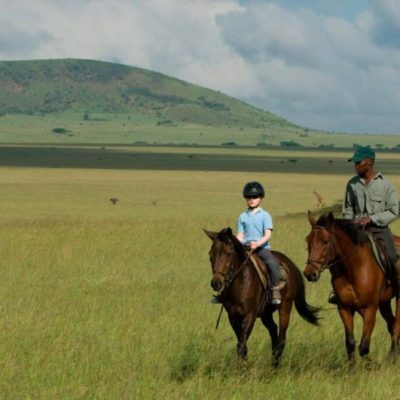 Horse riding safari ol Donyo – Horse-Riding safaris are a popular and exciting way of viewing Africa’s incredible scenery and wildlife up close and personal on horse-back. 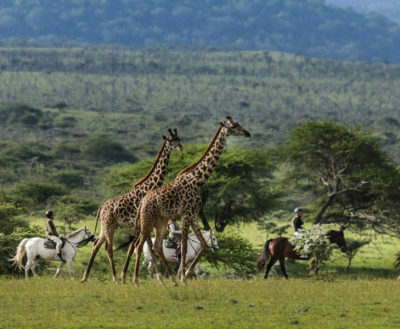 There really is nothing more thrilling than cantering alongside elegant giraffe or amongst galloping wildebeest. 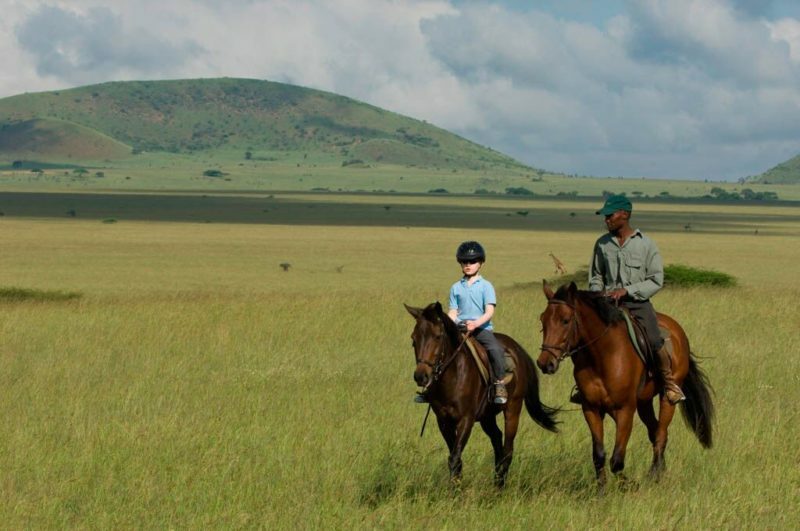 There is a large selection of horses at ol Donyo, all of which are well-schooled and chosen for their ability to be the perfect ride on safari. 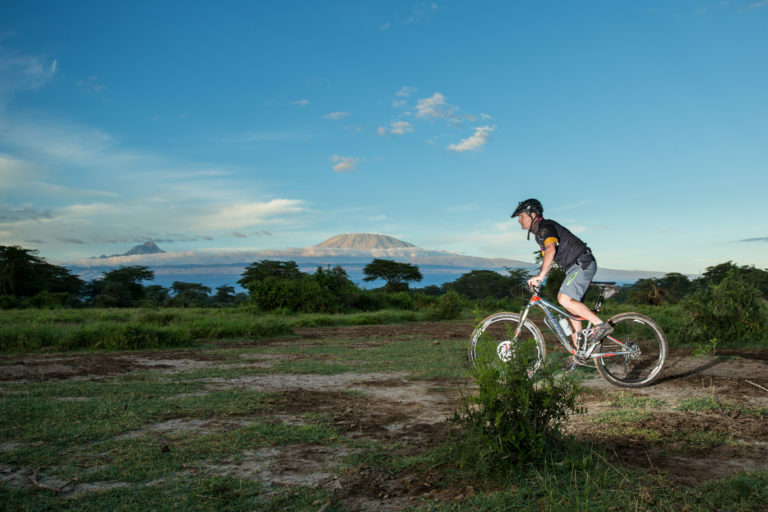 With Mount Kilimanjaro as an unbeatable backdrop, the guides will often take you through the wide open plains, game rich swamps, beautiful acacia woodlands and scenic hills. Horse-riding activities usually take place as morning or afternoon activities and there is an arena at the stables for younger riders who are able to partake in gymkhana style riding. There is no greater learning environment than mother nature. It is where the outdoor classroom and the ethos of exploration, adventure, and fun are combined to enhance the overall objective for creating a deeper level of understanding, awareness and connection to the natural world. Led by our guides Elijah Marika and Daniel Kasaine, ol Donyo Lodge’s Great Plains Young Explorers programme is designed to enhance both a child and a family’s overall safari, weaving themes of conservation and culture into each fun activity with the intention of giving children tangible examples and moments to take back to their peer group. The future of conservation is, after all, in the hands of these young ambassadors. 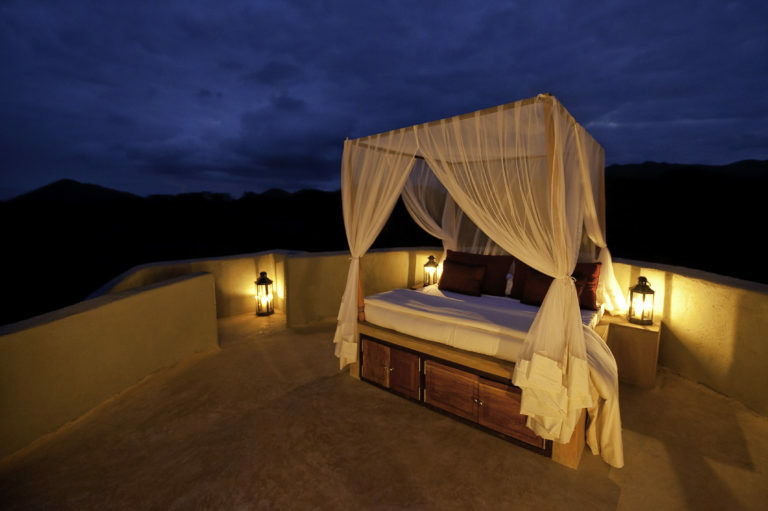 Star bed at ol Donyo Lodge – When was the last time you slept under the magnificent Kenyan Milky Way and when did you last wake up to a magnificent view of Mt. Kilimanjaro whilst hearing a herd of elephants breathing heavily at the waterhole below? 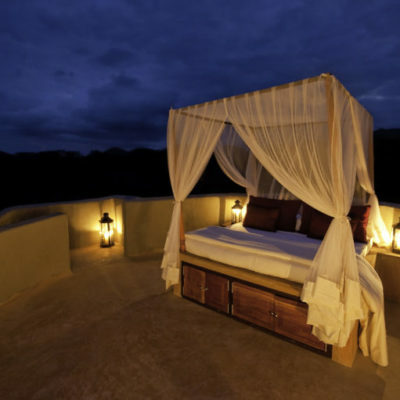 At ol Donyo Lodge, guests have the opportunity to spend an evening star-gazing through a telescope before retiring to comfortable beds elegantly laid out on your open-air “star bed” – the magic of East Africa is always in the air and the african starlit sky is your last view as you drift into slumber. In addition to the above alternative and unique safari experiences, ol Donyo Lodge does conduct the standard safari activities which include day and night safari drives, walking safaris, Kopjie sundowners, private bush breakfasts, lunches and / or dinners, boma dinners, and Big Life foundation talks / workshops. Due to the increasing interest of travelers looking to partake in “wellness safaris”, where mindfulness, health, and absorbing one’s natural surroundings are key, ol Donyo Lodge will be introducing an exclusive “Wild Studio Yoga Safari” where effectively all activities lend themselves to ensuring that both physical and mental energy is restored. Details of our specialised “Wellness in the Wild” experiences will be updated online over the course of the next few weeks.